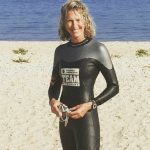 Thanks to Facebook, I quit Triathlons! I make a living as a fitness professional, so it’s not easy to admit when I can’t do something physical. This photo was taken a few weeks ago. I actually really liked it and wanted to post it on Facebook. But I couldn’t. I sure look happy, standing on a beautiful beach and ready for a good, hard swim workout. At least, that’s what I would have wanted you to believe. It has become apparent that many people (including me) use Facebook and other social media channels to share their highlight reels, their best selves, their achievements, momentous occasions, etc. But what about those times when we feel like crap, are worried and anxious, feeling fat, depressed and less than adequate? We all experience these feelings, yet rarely share them. art. Only to learn in a text from her a few days later that she and her husband are separating. Wait. What?! Social Media (Facebook especially) has become somewhat of a social comparison game at times. But what is fantasy vs reality? Is what we see the whole truth? Does it even matter? As a person who grew up wearing a lot of masks and pretending to be something I wasn’t, I get it. Most of us are naturally geared to seek approval, we want people to see the good stuff, the fun stuff, the happy stuff. I’m not saying positive posts on Facebook are a bad thing. I like seeing it all. While I may not be in direct contact with 90% of my Social media circles, I often rely on updates to keep me in the loop. This photo of me was taken ljust before I got into the water for a swim. I was in a crappy, irritable, unhappy mood and extremely anxious. Can’t you tell? Getting in the water, I lasted exactly 8 min. And only 4 of them actually swimming. If you put me in a pool, I can swim for miles. But, put me in open water and I panic. I can’t do it. Even after trying various coaches and techniques. While I might look the part, I cant play the part. I can’t swim in open water. There, I said it. 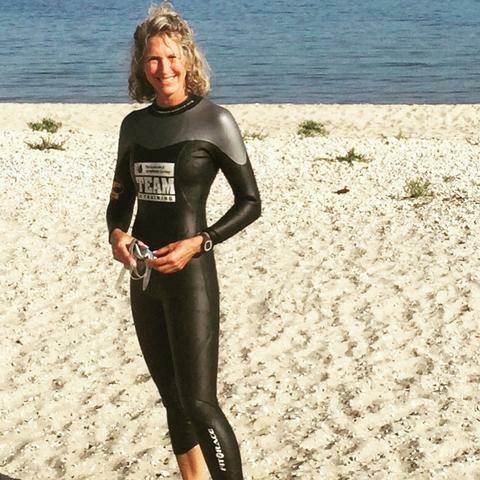 I got out of the water and sat on the beach, feeling frustrated and a bit like a fraud because I have done 5 open water triathlons….sort of. The first triathlon I did, I faked a shoulder injury and found someone to do the swim for me as a relay. The second was in a man made lake that was so shallow it appeared I was swimming, but actually…I was walking… on the bottom. No joke. So, thank you Facebook for questioning my hesitation for posting a photo. I dropped my masks years ago and felt like I would have just been putting one back on. Rather than failing, I see this as me successfully quitting triathlons. While I’ve cut back on the time spent on social media, when I do engage, I look at photos and posts through a new lens. And should you find yourself comparing your life to those you see on Social Media, just remember…all may not be at it seems.